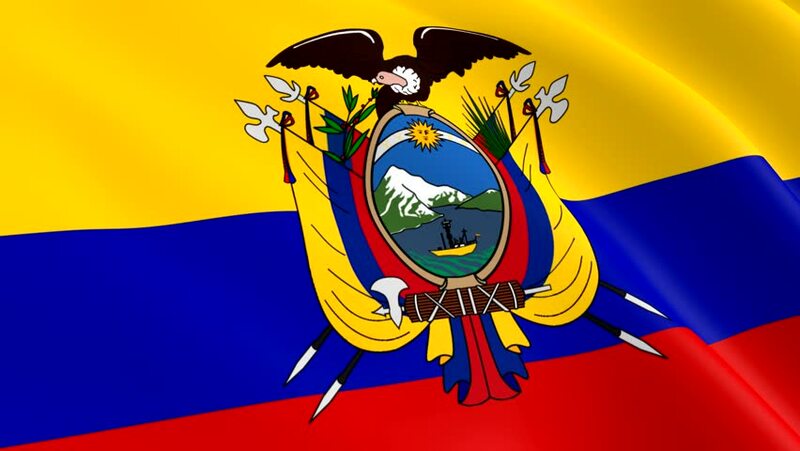 The flag of Ecuador was adopted on 26 september 1860, consists of horizontal bands of yellow -double width-, blue and red. Ecuador flag has a length of 2.20 meters and a width of 1.47 m, a ratio of 2 to 3. The field is split into three horizontal colored bands, a yellow band of one-half the flag's width, a blue band of one-quarter the width, and a red band of one-quarter the width. All three bands extend the full length of the flag. The flag of Ecuador is charged with the Ecuadorian coat of arms scaled to one-half the width of the flag and centered in the field.